A repossession is a legal process, sometimes referred to as a “repo.” It takes place because a lender or creditor is attempting to retake possession of property. It usually happens because a debt is not paid, and like any legal action, it requires an expert. A Riverside County licensed investigator should be the first person you call when you are seeking or threated by a repossession. Why Is a Riverside County licensed investigator Needed for a Repossession? There are times when creditors of secured loans can repossess your property without getting a court order beforehand. This stands as the case as long as there is no “breach of the peace,” meaning that the creditor cannot harass you in order to recoup their losses. Although you may not use force to prevent a repossession, you can call the police or hire a Riverside County licensed investigator if you feel as though a “breach of the peace” has taken place. As a creditor, it can be difficult to repossess property when debtors are deliberately elusive and when you must be careful not to “breach the peace.” This is the time when a Riverside County licensed investigator needs to take over. 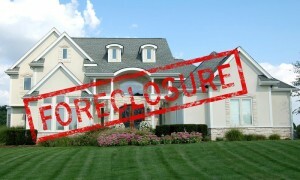 Many repossession companies cannot match up to the expertise of a Riverside County licensed investigator. That is because a Riverside County licensed investigator can provide process service, if needed, as well as help track down debtors before they get away with your property. For more information on having a repossession conducted on your behalf, or to hire a Riverside County licensed investigator to track down money owed to you immediately, call (951) 344-6306. We provide you with a free initial consultation and price quote for our services.